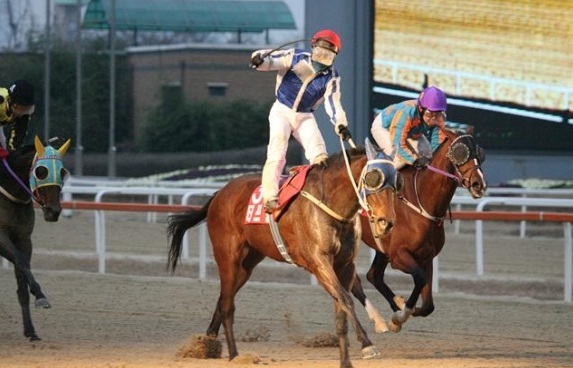 It’s a big weekend of Stakes action in Seoul as Seoul’s best horses compete against one another in the KRA Cup Classic, while down at Busan, the end of season Juvenile championship races get underway in the shape of the Gyeongnam Sinmun Cup. In the Classic, current Grand Prix Stakes champion Tough Win will face arguably his two greatest rivals – at least from Seoul. He saw off both Jumong and Haedongcheonwang when the three of them met under handicap conditions in early September and, while the three-year old Haedongcheonwang can be expected to show improvement, an on-form Tough Win should still have too much for both of them again. With the outstanding Smarty Moonhak’s career still hanging in the balance as he undergoes stem-cell treatment for tendonitis, his sire, Smarty Jones is represented in the Classic after all as four-year old Es Four, newly graduated to Class 1, takes his chance with the best. Meanwhile at Busan, the track’s top juveniles meet for the first time in the Gyeongnam Sinmun Cup. The best performers will qualify for the Korean Breeders’ Cup at Seoul next month when they will face the top two-year olds from the capital. 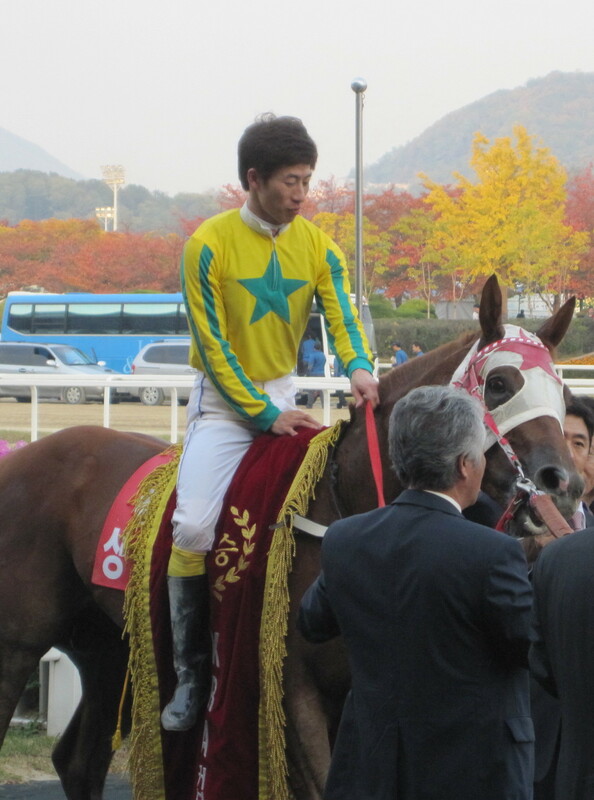 Last year’s winner Gyeongbudaero didn’t go on to win the Breeders’ Cup but he did train on as a three-year old, winning the KRA Cup Mile, the first leg of the Triple Crownn in April, and coming third in the final leg, the Minister’s Cup, just last week. Menifee, who is streets ahead in the leading sire race this year, accounts for five of the ten entries. Fantastic Jazz, a half-brother of 2008 Korean Derby winner Ebony Storm (who, now a gelding, and still running at the top-level will be running a race later) goes into the race unbeaten from three starts. Social Charter [Nureyev-Aunt Pearl (Seattle Slew)], who started his racing career in the UK before moving on to Canada and the USA has died at stud in South Korea aged 17. As a racehorse, in 1999 he won two Group 3 race, the Eclipse Handicap at Woodbine and the Fayette Breeders’ Cup at Keeneland. He was imported to Korea in October 2000 and was consistantly in the top 15 leading General sires for the next decade. His progeny was known for being tough and durable and, while he didn’t sire any major race winners, he was responsible for a large number who had long careers with Southpaw, Natural Guy and Bada Jewang among his chief money-earners. Still standing at the KRA Jeju Stud Farm, he passed away of an unspecified illness in late September. 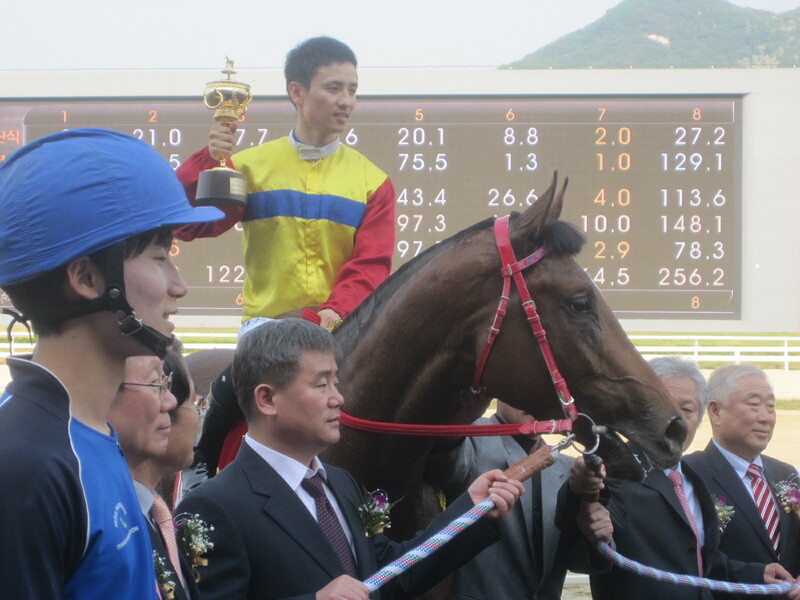 Dangdae Jeonseung cruised to a comfortble victory in the Singapore Turf Club Trophy At Seoul Race Park this afternoon. Always well-placed, the Canadian bred filly reeled in and overtook favourite and long-time leader Chowonuibyeol in the home straight to win, going away, by a length and a half at the end of the 7 furlong race, which was the second time Singapore’s racing authority has sponsored a race in Korea. 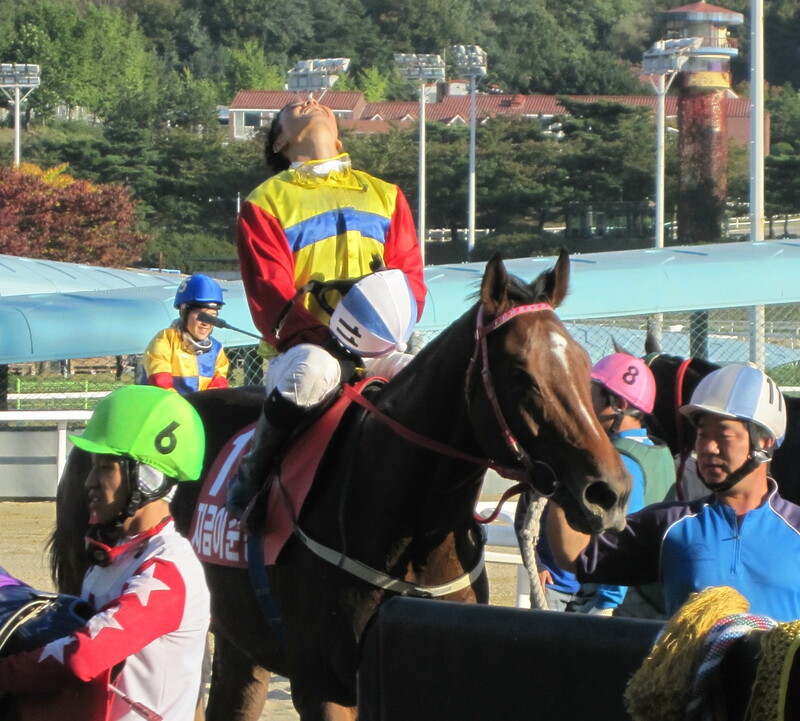 It was only Dangdae Jeonseung’s fourth career win, however, she rewarded punters who had kept enough faith with her to back her into second favourite, despite disappointing recent showings in the KNN and YTN Cups. She hadn’t run since but the two months off clearly benefitted her and it will be interesting to see how she performs next time. 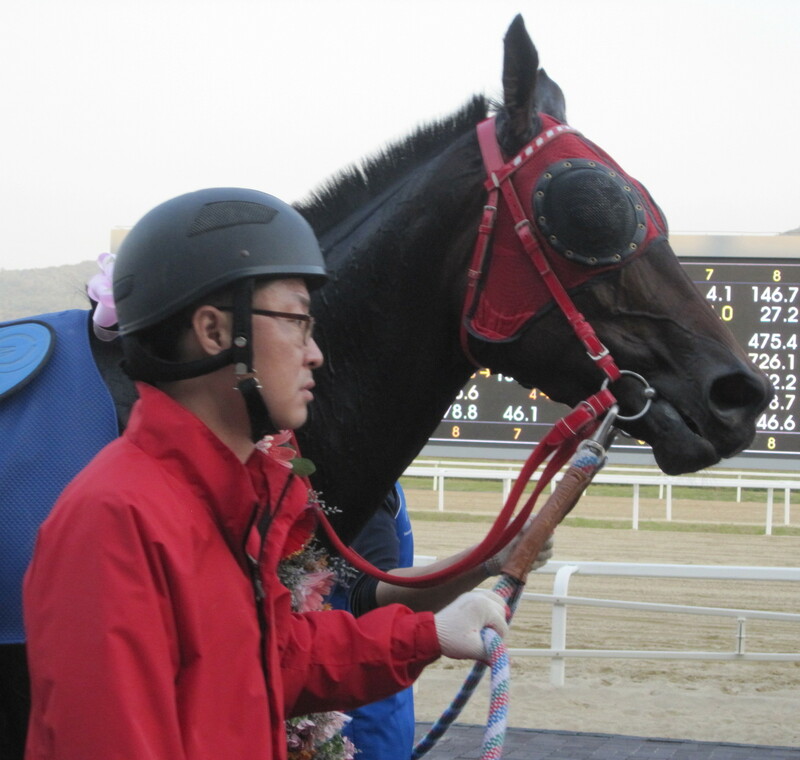 Foaled in Canada but purchased out of a US sale, Dangdae Jeonseung is one of very few Canadian bred racehorses in Korea. Another one, Sufficientevidence (Pleasant Tap), was also a winner at Seoul today. The two-year old colt broke his maiden in race 6. 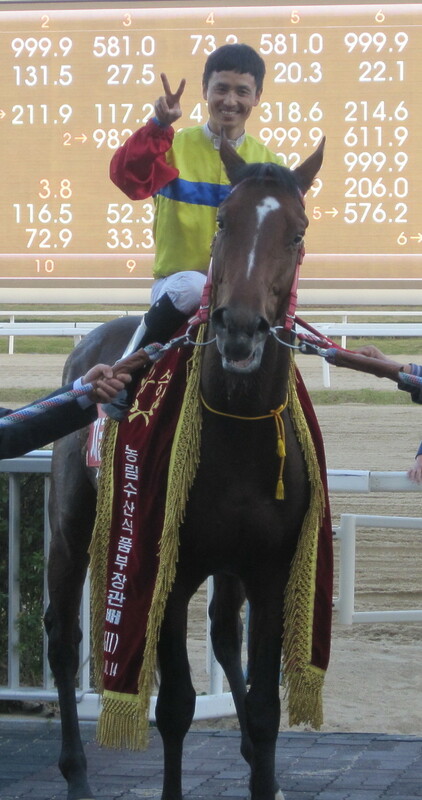 Dangdae Jeonseung was one of three winners today for Moon Se Young and the champion jockey will be looking to make a quick return to the winner’s circle tomorrow when he partners Korean Derby winner Jigeum I Sungan in the Minister’s Cup, the final leg of the 2012 Korean Triple Crown. 13/1 chance Seungniuihamseong produced a fine late run to win the Gyeonggi Governor’s Cup, one of the top races of the autumn for Korean bred fillies and mares, at Seoul Race Park yesterday. The four-year old overcame leader Golden Rose in the final strides to take the prize with odds-on favourite Cheonun only managing third.